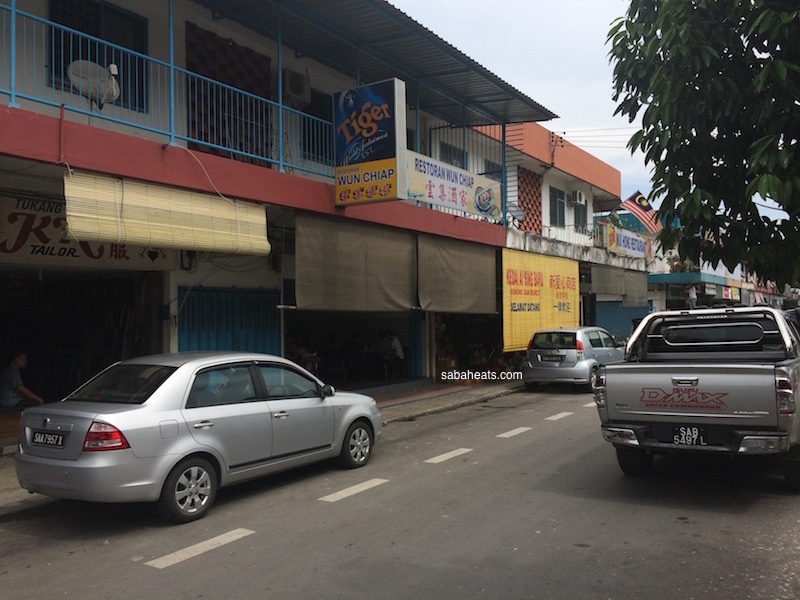 Tamparuli town is located on the road to Mount Kinabalu and Sandakan and is a perfect place to stopover for food. 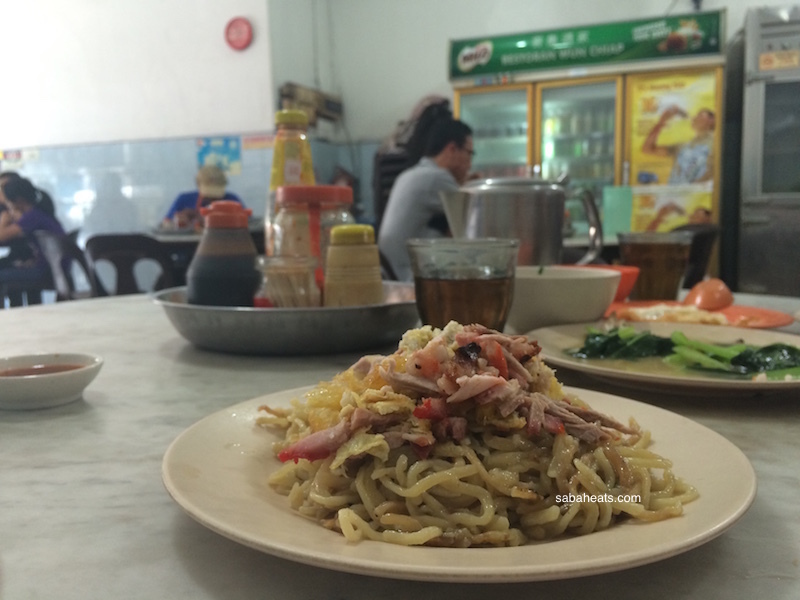 Many people may be heard of Tuaran Mee which originated from Tuaran town which located just a few kilometers away but may not know Tamparuli town is famous for its noodle too. 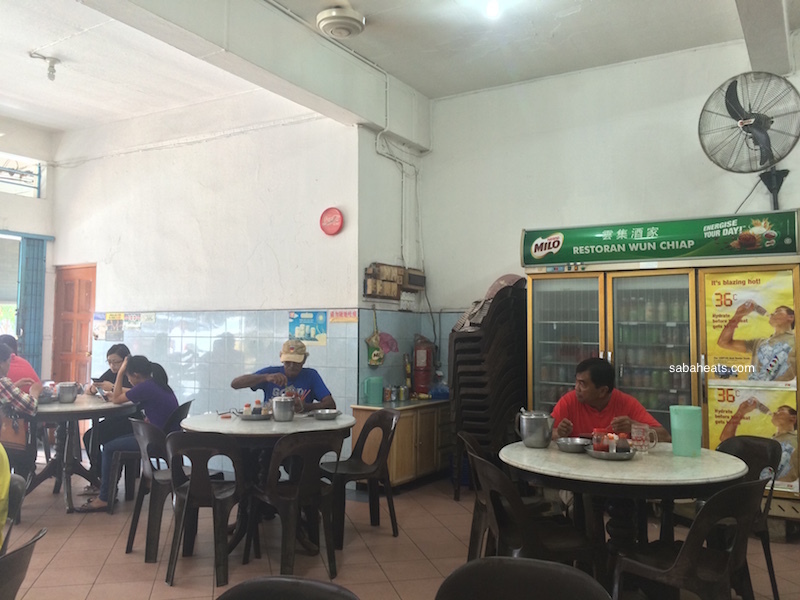 Restaurant Wun Chiap is one of the shops you must stop by if you looking for Tamparuli mee. It is located near SJK (C) Chung Hwa Tamparuli (担波罗里中华国民型华文学校). 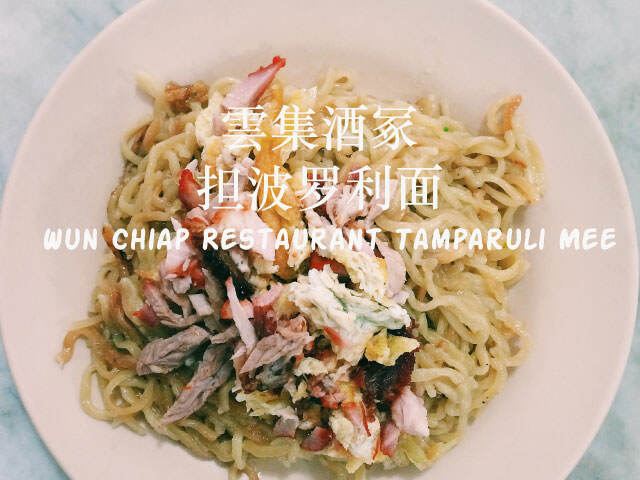 This is what a Tamparuli mee look like. It looks like Tuaran Mee but the texture and taste are slightly different. I can feel the texture of the noodle is more springy but less egg taste compares to Tuaran Mee. 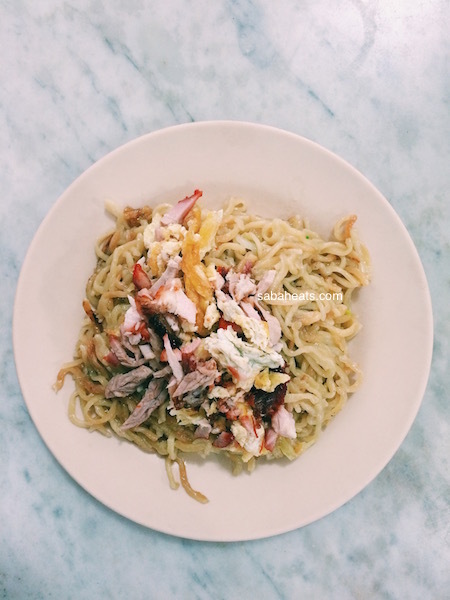 A place of Tamparuli mee cost RM5. 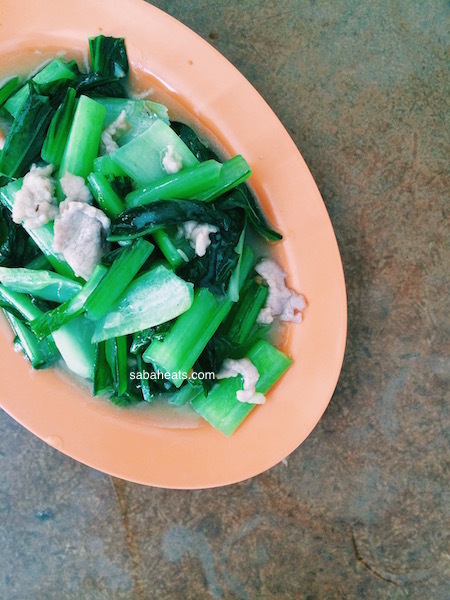 They also serve Choi sim with rice. 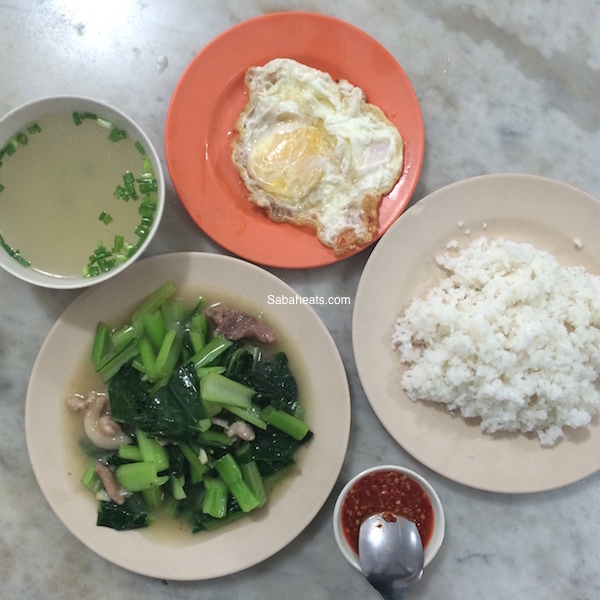 A plate of Choi sim cost only RM4.50! much cheaper compare to Kota Kinabalu price. For those prefer soupy noodle. 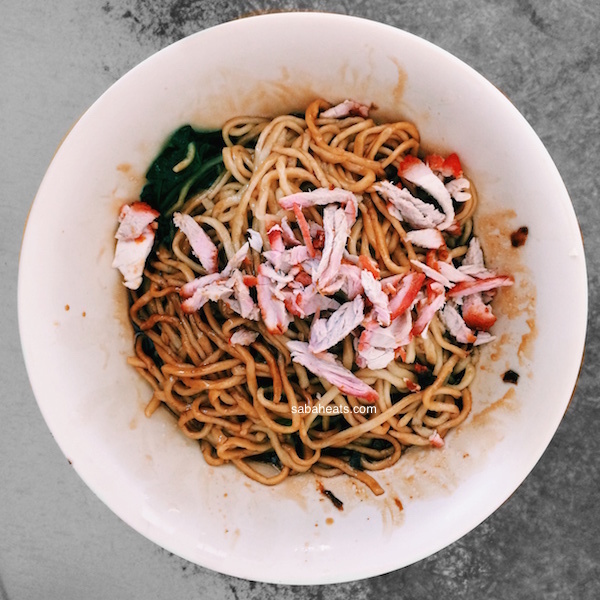 You can opt for the Loh Mee. When we first taste it, we thought the cook forgot to put in salt as its tasteless. 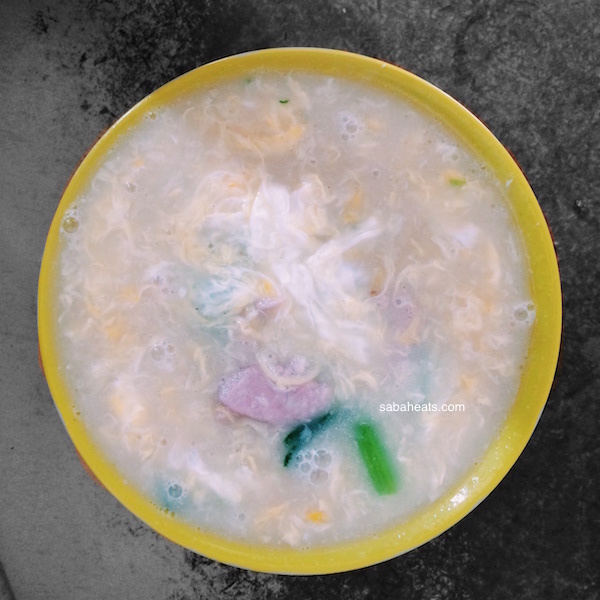 The uncle told us to mix the Loh Mee as the salt is at bottom of the bowl. 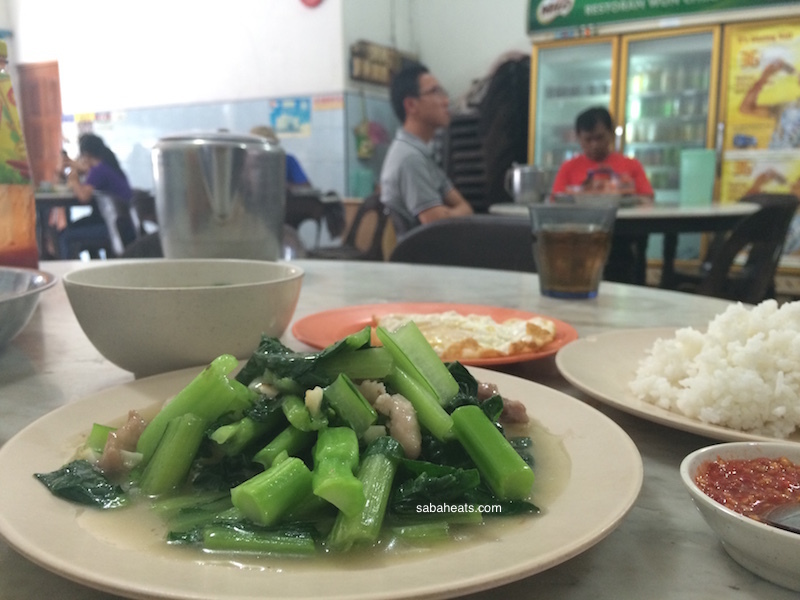 Sabahan love Kon Lau Mee (dry stirred noodle) and Wun Chiap serve Kon lau mee too. One type of noodle with a different type of serving. always something for everyone. Location : located at Tamparuli Town center. Near to SJK (C) Chung Hwa Tamparuli (担波罗里中华国民型华文学校).